Just Policy Blog: Pencil Us In! In November, JPI is hosting a special panel discussion about private prison companies at the Lamont Bishop Gallery in downtown D.C. The conversation will include experts in juvenile justice, immigration, unions, media, advocacy and law, talking about the political strategies of private prison companies and the implications of future private prison expansion, featuring leading experts. And to top it off, JPI is excited to announce that it has joined Give to the Max Day: Greater Washington on November 9, 2011! 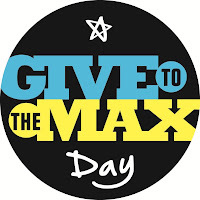 Give to the Max Day is a one-day fundraising event for nonprofits in the D.C. area. The event is all online and is hosted through razoo.com (a website that promotes generosity by connecting people and nonprofits) and a variety of other sponsors. The idea is to draw as many people to the site as possible to encourage giving, but also to build communities and connect people with different causes. And, there’s a challenge, too! The nonprofit that receives the greatest number of donations or the has the greatest number of donors, wins a prize! So, mark your calendars and come to our Give to the Max site on November 9, consider donating ($10 would be great!) or just be our fan (you can connect through Facebook or Google, too). Either way, we hope that you appreciate all we do and will support us now and for years to come.